Lyoto Machida is a Japanese-Brazilian MMA fighter who currently fights in the UFC’s light heavyweight division where he is the currently the Light Heavyweight champion. Machida is currently undefeated in his professional MMA career and has yet to lose a single round in his UFC career. In the most recent fighter rankings for one Sherdog, Lyoto is ranked as the number 1 light heavyweight fighter in the world and the number 4 pound for pound MMA fighter in the world. Lyoto is the son of Yoshizo Machida, a master of Japanese Shotokan Karate and Lyoto has been tutored by his father in almost every aspect of his game. Machida is known for his Shotokan Karate striking style, and his unorthodox stance that allows him to be a very elusive fighter. Lyoto has earned a black belt in both Brazilian Jiu Jitsu and Shotokan Karate, and is also a very experienced sumo wrestler, despite his slim figure. As of June 2009, Lyoto Machida holds a perfect record of 15-0 which includes notable victories over former UFC Light Heavyweight champion Tito Ortiz, former UFC middleweight champion Rich Franklin, and current UFC lightweight champion B.J. Penn. He won his UFC Light Heavyweight championship in his most recent fight with the former UFC Light Heavyweight champion and previously unbeaten Rashad Evans that took place in May of 2009. In what marked his second consecutive fight against a fellow undefeated fighters, Lyoto was given his shot at the UFC Light Heavyweight champion Rashad Evans at UFC 98. Most of the first round saw both fighters feeling each other out and towards the end of the first round, Machida scored a knockdown to win the round. After 4 minutes of back and forth action in the second round, Lyoto landed a left hook that knocked Rashad out cold, giving Lyoto the victory and crowned him the UFC Light Heavyweight champion. His victory also earned him the knockout of the night award and a $60,000 fight bonus for the second consecutive fight. This victory kept Lyoto’s record perfect, as he is still undefeated in MMA contests, and marked the end to Rashad’s perfect streak, as he was handed his first loss of his career. Machida was then scheduled to fight Rampage Jackson in his first title defense, but Jackson refused the fight so that he could coach the Ultimate Fighter season ten and then face fellow coach Rashad Evans at UFC 107. Replacing Jackson will be Pride’s Middleweight veteran Mauricio Rua and the two are scheduled to fight at UFC 104 on October 24, 2009. Lyoto made his first ever appearance in the UFC at UFC 67 where he faced off against Sam Hoger and won the fight by unanimous decision. He was then scheduled for a fight on the main card at UFC 70 where he defeated David Heath by unanimous decision. His next fight was against a better fighter and judo practitioner Kazuhiro Nakamura at UFC 76. Lyoto Machida beat the Pride veteran by unanimous decision, improving his record to a perfect 11-0. In his next fight, Lyoto Machida faced the highly acclaimed Rameau Thierry Sokoudjou, a strong Judo artist who was making his debut in the UFC after steamrolling two of Pride’s strongest fighters in Antonio Rogerio Nogueira and Ricardo Arona. Lyoto wasn’t phased by Sokoudjou, as he defeated Rameau with his first stoppage ever in the UFC by submitting him with an arm triangle choke at the end of round 2. Lyoto would next face the biggest challenge of his MMA career, when he was scheduled to fight former UFC light heavyweight champion Tito Ortiz at UFC 84, in Tito’s last fight with the UFC. Throughout the fight Machida was successful in avoiding Tito Ortiz’s takedowns while also landing counter strikes and moving laterally to avoid any trouble. At the end of the final round, Lyoto landed a flying knee to Ortiz’s body which knocked him to the ground. Machida followed Ortiz to the mat in an attempt to finish his downed opponent but almost got himself caught when Ortiz almost locked in a triangle choke before transitioning to an armbar attempt, both were unsuccessful as Machida escaped quite easily. The fight ended in a judges decision where all three judges scored the bout a unanimous decision for Lyoto Machida. Machida was next scheduled to fight fellow undefeated Brazilian Thiago Silva at UFC 94 on January 31, 2009. Throughout the first round, Machida was successful in taking Thiago Silva to the mat with trips and takedowns, and Machida took Silva to the ground late in the first round where he proceeded to knock out Silva in the final seconds of the first round. His victory was Lyoto’s first knockout victory in the UFC and earned Lyoto knockout of the night, along with a $65,000 bonus. Up to this day, Lyoto has yet to suffer a loss and hasn’t even lost a single round while fighting in the UFC. 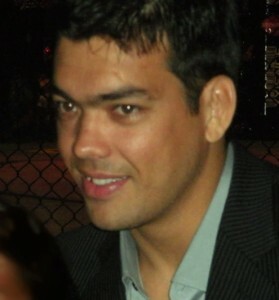 Lyoto Machida was nominated for the 2009 Best Fighter award at the ESPYS in June of 2009. He was nominated along with Anderson Silva, Manny Pacquiao, and Shane Mosley but didn’t recieve enough votes to win, instead the award went to elite boxer Manny Pacquiao. While Machida was in college, he hooked up with Japanese pro wrestler and promoter Antonio Inoki. Inoki saw potential in Machida and took him under his wing and promoted him as the upcoming star. Machida continued to train and traveled to Thailand to train Muay Thai with veteran instructors, and also to Tokyo to train in wrestling at the New Japan Wrestling Dojo. Machida debuted in MMA in Inoki’s New Japan Wrestling on May 2, 2003 where he won a decision over a seasoned Pancrase fighter in Kengo Watanabe. Before joining the UFC, Lyoto (nicknamed “The Dragon”) competed in a number of other organizations. In Brazil’s Jungle Fight 1, he defeated MMA fighter Stephan Bonnar by TKO due to a cut. Lyoto fought in his third fight in Japan at the Inoki Bom-B-Ye 2003 event, where he fought as an underdog against a 12-0 UFC star Rich Franklin. Lyoto shocked the crowd as he knocked Franklin out with a flurry of strikes early on in the second round. After starting off a perfect 3-0 in MMA fights, Lyoto turned to the K-1 fight organization for more fights and better publicity. Lyoto started off very well with K-1, as he won both of his first two fights against highly ranked K-1 kickboxers, Michael McDonald and Sam Greco. Lyoto next fought at the event K-1 Hero’s 1 would be his last K-1 fight, where he took on the highly skilled, UFC Lightweight champion B.J Penn. Lyoto won a unanimous decision over the UFC superstar, further improving his record to 5-0 with 2 wins against very tought competition. Following his victory over Penn, Lyoto permanently split from Inoki and his failing promotions in Japan and in early 2006, he signed with the World Fighting Alliance and began his MMA career in the United States. In his first fight on American soil, Machida defeated Vernon White by unanimous decision from the judges. Shortly after his victory, the WFA went out of business and the UFC wasted no time in acquiring Lyoto Machida’s contract. Lyoto has fought solely in UFC events ever since. Machida fights with a very unique style that incorporates elements from his diverse training background. Lyoto can be described as an elusive fighter, as he is known for avoiding trading blows and uses accurate counter striking as he backs away from his opponents. He uses an unorthodox stance that helps him elude any attack and allows him to catch his opponent of guard when they push forward. While many fans criticize Lyoto for not being aggressive and for being a relatively ‘boring’ fighter to watch, fans do respect him for his winning ways. Born in Belem, Brazil, Lyoto Machida began learning karate at the age of 3, becoming a black belt by 13. Showing a natural instinct in the art of hand to hand combat, he began to learn sumo when he turned 12. Within 3 years, he started to develop his Brazilian Jiu-Jitsu skills. Mesmerized by the mixed martial arts, he began training for the cage when he turned 17. Today, he fights with a technique that draws from all 3 disciplines that were learned in his youth. Plus, time spent during college learning wrestling and Muay Thai have given him an additional edge. With an MMA record of 15 wins and 0 losses, his mastery of the cage is indisputable. Lyoto’s father is a Shotokan karate master. He encouraged his son to learn the martial arts. Even today, Lyoto contends that his father is his hero, and his motivation to reach the pinnacle of the UFC is a result of how his father taught him to strive for success. That trait has earned him several titles, including the 2001 Pan American Karate Champion and Brazilian Karate Champion. And despite his lean figure, Lyoto was also a contender for the title in the 2000 Brazilian Sumo Championships, where he ended up placing second. When he became an adult, Lyoto became Brazilian Champion twice and placed second in the South American Championship. Aside from all of his successes in the ring, Lyoto has also earned a degree in Physical Education. Lyoto has a brother named Shinzo who is also a successful student of Shotokan karate, he is a Shotokan vice-champion, losing only to the number one Shotokan fighter in the world Koji Ogata. Lyoto and his brother have fought one time in their life, ten years ago they met in a Karate Final in which Lyoto gave his brother a scar on his cheek that still can be seen today. Though he isn’t forthcoming about his favorite strikes or floor moves, opponents have noted that his back kicks and leg sweeps are precise and difficult to repel. Plus, his fighting style is unique and most veterans have little experience defending against it. The only criticism about Lyoto’s technique is that it is often boring to watch. Rather than rushing into his opponents, he waits for them and reacts to their strategy.